admin has 151 articles published. A plan for the Liberals? 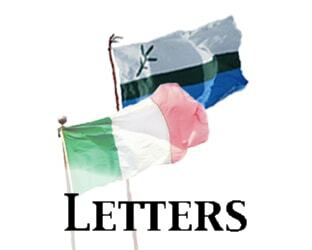 In response to Shannon Reardon’s May 7 column, “Our squandered pride and prosperity”. Former Great Big Sea member and small business owner Bob Hallett says homeowners and business owners in St. John’s feel “abused and neglected” in the wake of city council’s municipal budget. He is calling for the mayor and councillors’ resignation. "We invite you to come remember the Man of a Thousand Songs..."
"I couldn’t believe that, here was Ron Hynes changing my guitar strings in my house, right before my eyes!" In addition to Paris, what about those in Beirut and Baghdad? How much do we really know about the Canadian intelligence community? We are right to remember those we have lost to war. But we owe it to them, to ourselves, and to future generations to abolish warfare once and for all.